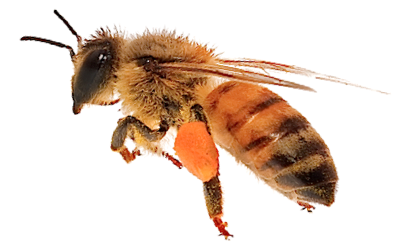 Flupyradifurone is a nerve poison, acutely toxic to bees if ingested. to crops across the country. HAVE YOU HEARD of flupyradifurone? Probably not, unless you work for the federal government agency poised to approve this new pesticide for use in Canada. But take note: This new F-word is bad news for bees. Inexplicably, Canada’s Pest Management Regulation Agency has yet to respond to the Task Force findings and now wants to approve a new systemic pesticide. What’s especially troubling is that, in its description, the PMRA states flupyradifurone “may pose a risk” to bees, birds, worms, spiders, small mammals, and aquatic bugs, and that it doesn’t readily break down in water, air, or sunlight and may carry over to the following growing season. Like neonics, flupyradifurone is a nerve poison, acutely toxic to bees if ingested. As in the past, we don’t fully understand the cumulative effects of the increasing amounts of today’s insecticides, pesticides, fungicides, and other chemicals being applied to crops across the country. Neonicotinoids are showing up more frequently and in higher concentrations than the harmful chemicals they replaced. A study last year found 90 percent of Saskatchewan prairie potholes contained residual neonics in the spring, before farmers planted their fields. Research from the U.S. Midwest found neonics in all 79 samples taken from nine rivers. Similar results have been found in wetlands, streams, and rivers in the southwest U.S., Georgia and California. Rather than approving new pesticides that may harm pollinators, birds, and other animals, including humans, we need better ways to protect crops. A recent report, “Alternatives to neonicotinoid insecticides for pest control”, published in the journal Environmental Science and Pollution Research, suggests further research and methods including “diversifying crop rotations, altering the timing of planting, tillage and irrigation, using less sensitive crops in infested areas, applying biological control agents,” and other lower-risk alternatives. We need to stop contaminating the environment with neonics and related systemic pesticides. 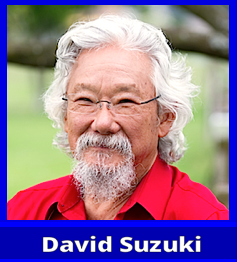 Learn more at → www.davidsuzuki.org.